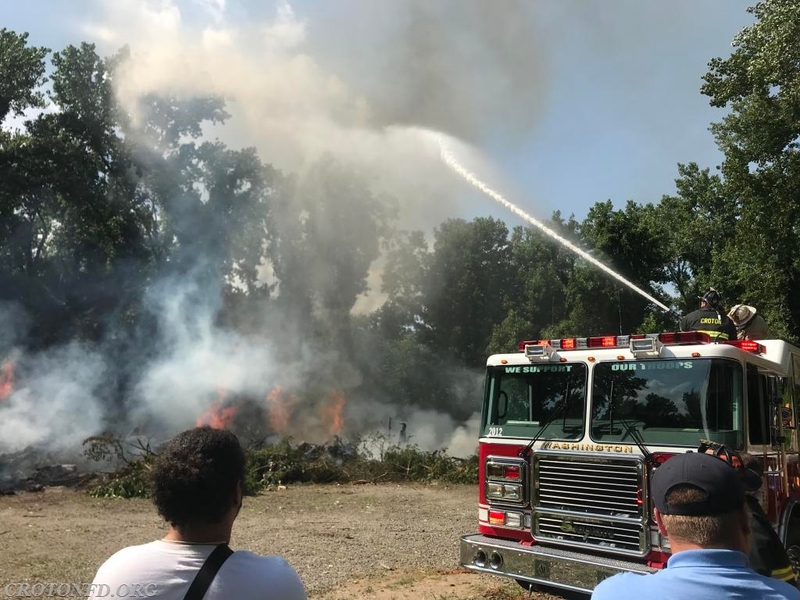 At 3:45 PM on Friday, the Croton-on-Hudson Fire Department was dispatched for an unknown type fire in the area of Croton Point Park. 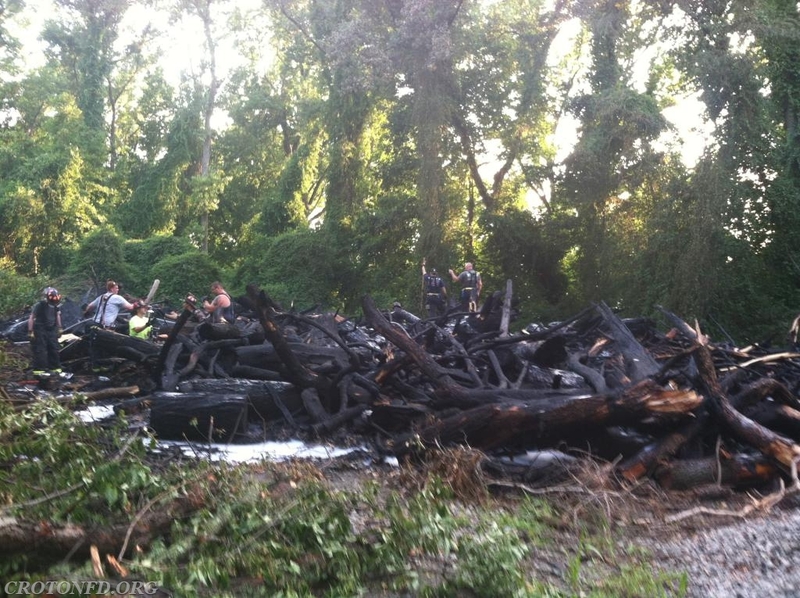 A female at Croton Landing Park was reporting a large amount of black smoke, visible nearly two miles away. 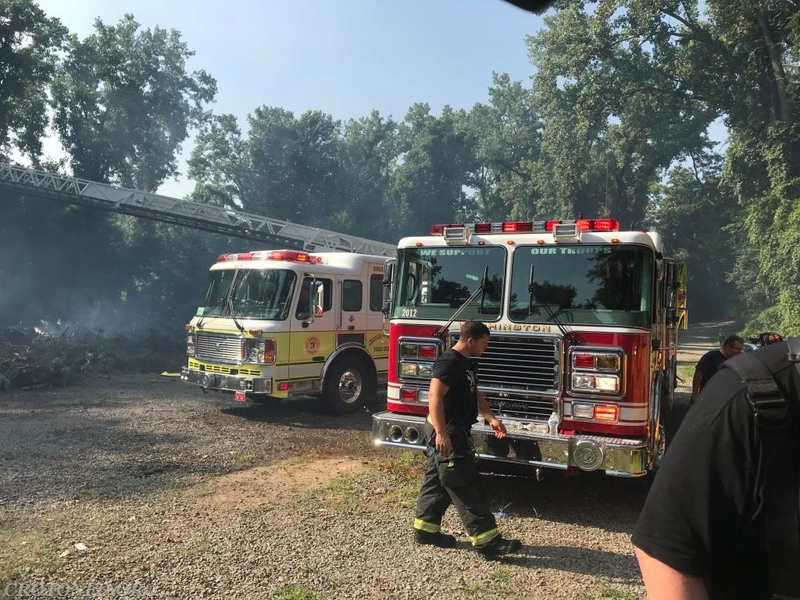 While units were responding, 60 Control updated us that they had conflicting reports of either a brush fire, boat fire or structure fire, so the initial response assignment was upgraded to a structural fire response. 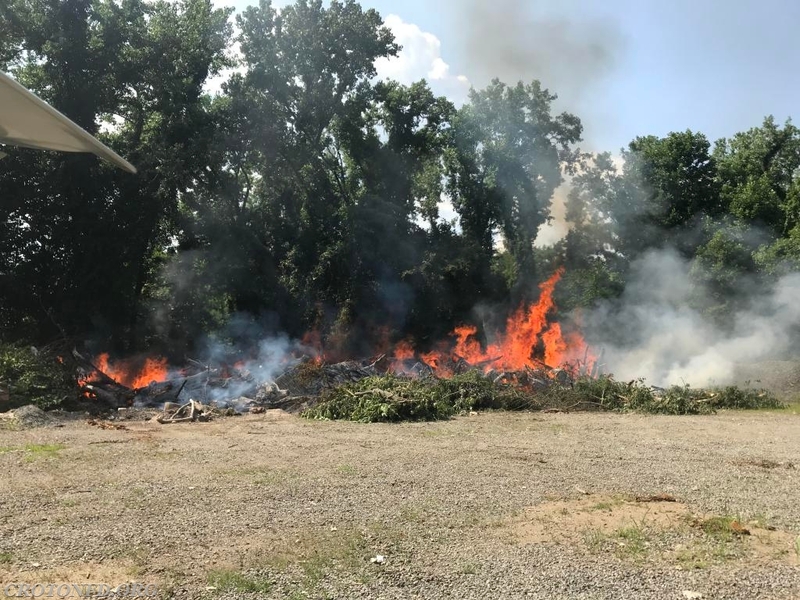 Car 2082 (Assistant Chief Munson) was first to arrive, reporting a "sizable" brush fire involving a pile of large tree trunks, branches and limbs behind one of the maintenance buildings in the park. At this point, 2082 established Command and Car 2081 (Chief Colombo) took the "Operations" role. 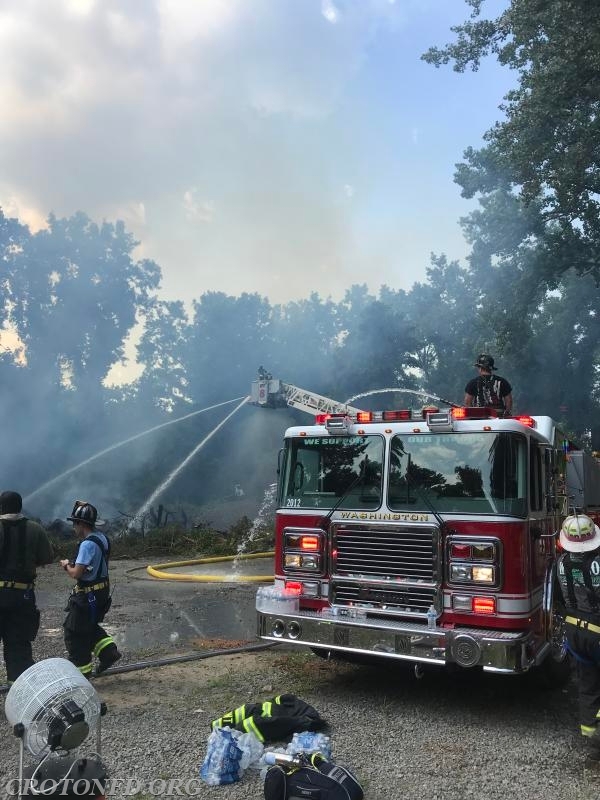 Tanker 10 was brought in to begin hitting the blaze with their deck gun while Engine 120 connected to a hydrant and laid a 5" supply line into T10. 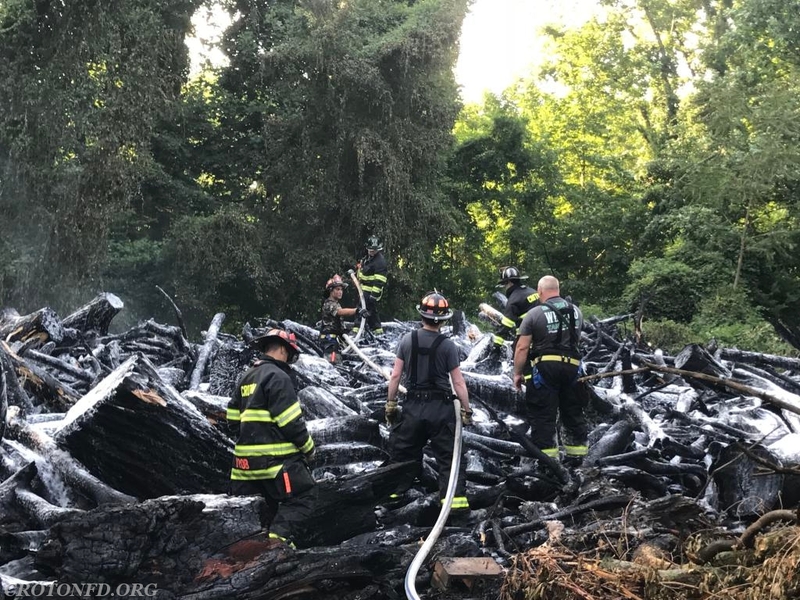 Command added a Tanker from Millwood and a Tower Ladder from Montrose to the assignment, and changed the assignment of Ossining's FASTeam to that of an Engine Company. Using two hose lines and a deck gun, T10 began to contain the fire with the help of personnel from the other CFD units on scene. Command had TL8 set up to attack the fire from above, which required additional water. Another Tanker from Continental Village was added to the box, and using T10, Millwood T15 and CVFD T11, they rotated providing this additional water. 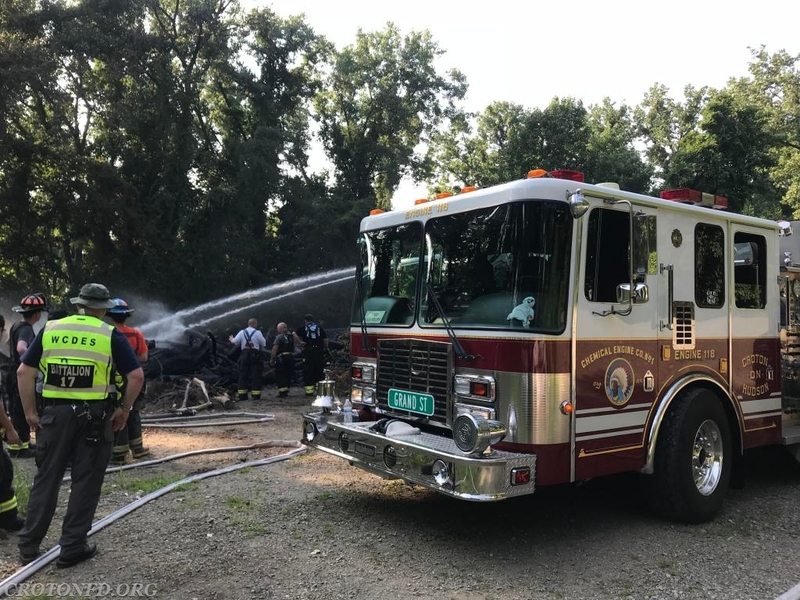 Once the bulk of the blaze was extinguished, Engine 118 was moved into position to utilize it's on board 100 gallon foam tank to suppress the heat and snuff remaining hot spots. 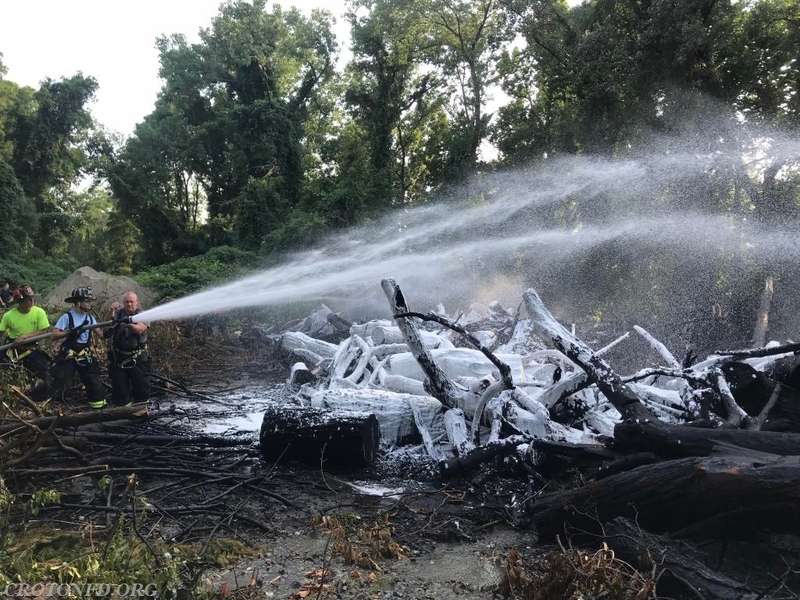 During the operation, an Engine Company from Millwood - which was relieved by one from Yorktown - was relocated to Harmon Firehouse to cover any additional calls in our district. 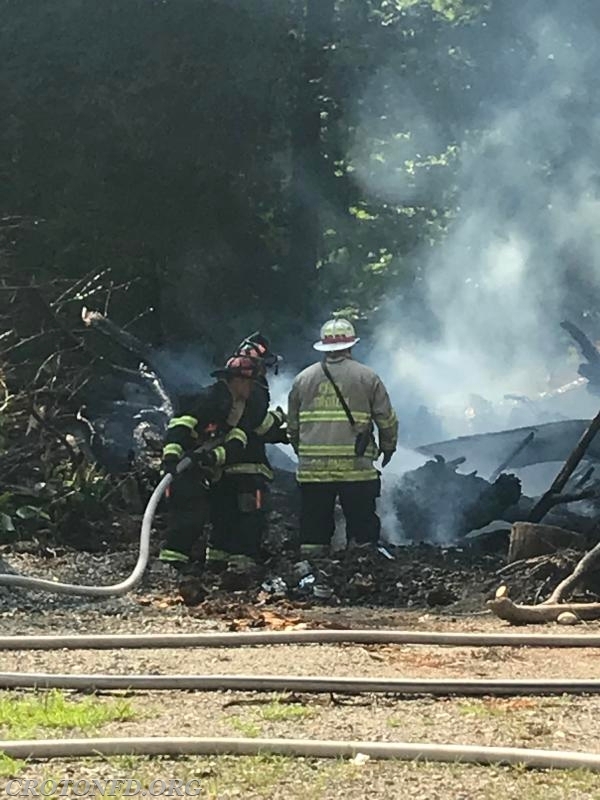 The fire - which appeared to have been started accidentally - was contained to the pile of lumber and did not extend to the surrounding woods. 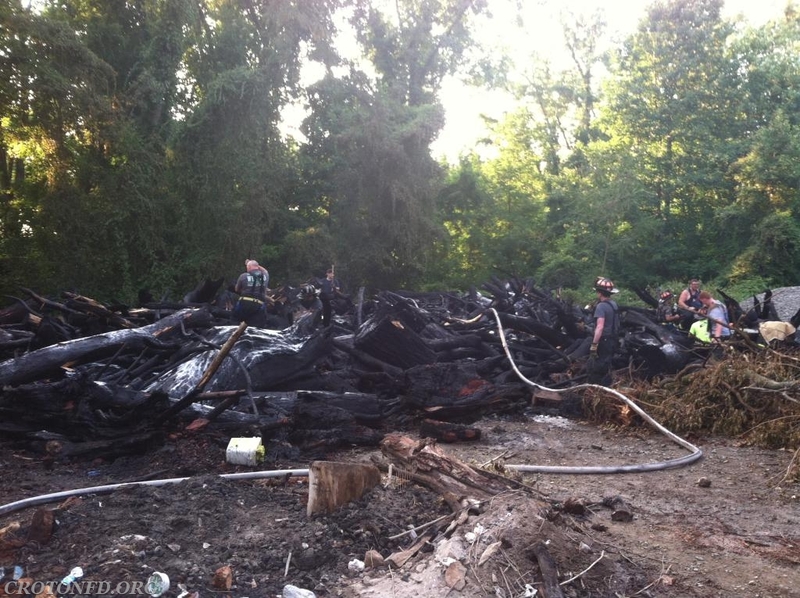 Volunteers operated for about 4 hours to extinguish the fire, with help from a County backhoe. The COHFD extends our appreciation to all of our Mutual Aid partners for their assistance, as well as to Croton EMS and Ossining EMS for providing cold drinks to our personnel. A total of nearly three dozen CFD volunteers answered this call.